The peak season is now upon us at the South Devon Railway. This means that the schools are on holiday and the blue – two-train – service is operating. 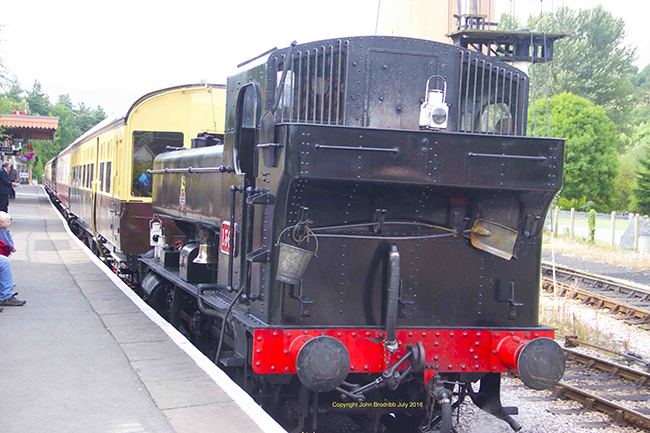 1369 and 6412 were the locomotives for July and, on Sunday 24 July, 1369 and auto coach 233 were used to form the 16.30 from Buckfastleigh to Totnes and return in place of the scheduled diesel railcar W55000. 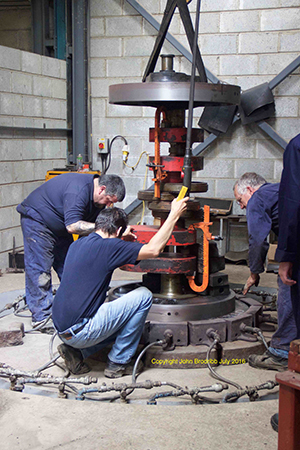 In the workshops retyring the wheels for the Worcester Locomotive Society’s locomotive Carnarvon is in progress. 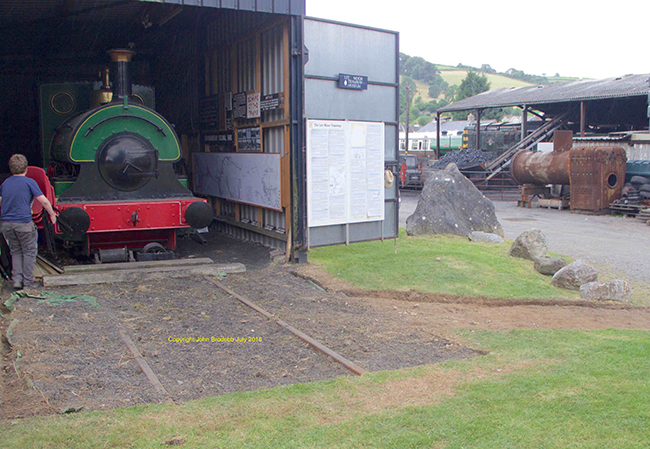 Over at the Lee Moor museum work is in hand to improve the appearance of the Dartmoor gauge track outside the shed, which involves clearing away the weeds and cutting a path from the main roadway. Both will then utilise some of the extensive supplies of ash from the running shed. See also article on Bulleid boilers.